If you are interested in performing, sound and lighting, props, costumes, set construction or just helping backstage we would like you to join us! 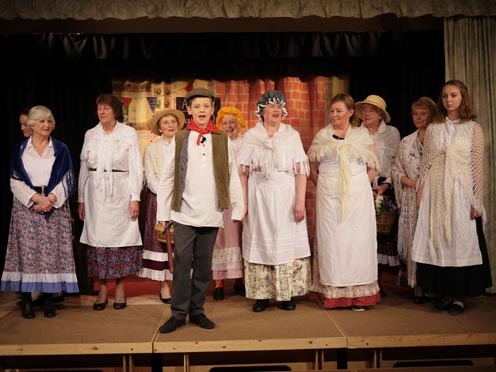 The photo above shows a scene from the 2018 pantomime, Sid and the Lost Treasure. 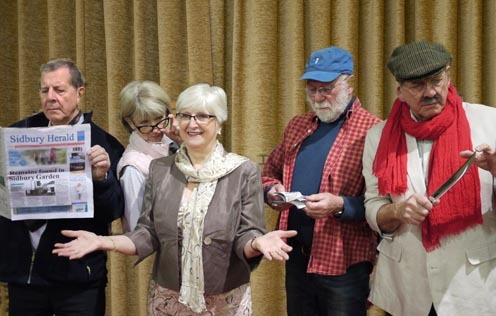 The photo below shows the cast of our forthcoming Murder Mystery productions on March 1st and March 2nd.